A Big Blue project allows IT managers to monitor a three-dimensional, real-time view of their computing resources, even if they are spread across the globe. Rather than build a virtual world for online gaming or to give users an alternative reality, Big Blue made a virtual world where IT executives can examine and manipulate hardware running in their very real data centers. The IBM project -- called 3-D Data Center -- gives IT shops a 3-dimensional, real-time virtual view of their data centre resources, even if they are spread across the globe. "It's a new way to look at systems and interact with them," says IBM researcher Michael Osias, the man behind this new idea. "Objects aren't just visualizations. You can think of them as little machines." So data centre administrators get to play with their servers and storage (compare storage products ). And it does look something like a game, even if it is not one, Osias notes. IBM contends its new technology will help businesses identify underutilized machines that can be eliminated, distribute workload among data centers, monitor power and cooling, and move processing to cooler sites depending on the weather. Using avatars, IT operations executives move through their virtual data centres, viewing "a tailored 3-D replica of servers, racks, networking, power and cooling equipment." A combination of open source software and IBM-built tools, the virtual data center can provide visualizations of any type of hardware, regardless of the vendor, as long as it has a network API. Instead of reading text describing the conditions of a data centre, IT managers can look out for flames showing hotspots, examine visualizations that show server utilization rates, or receive alerts about system failures. Just to make things linguistically confusing, you can even use the virtual world to modify virtual servers (the kind made possible by VMware) in a real data centre. 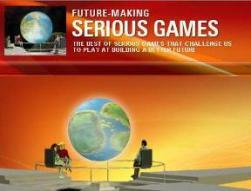 "We have an ability to basically funnel events through the virtual world and back into the real world. Right now it's focused on power management but we'll continue to extend that functionality," Osias explains. "We can kick off power management of a virtual machine," he continues. Taking an action in the IBM virtual world can send a command to IBM's Enterprise Workload Manager, which executes the corresponding act in a real-life data centre. 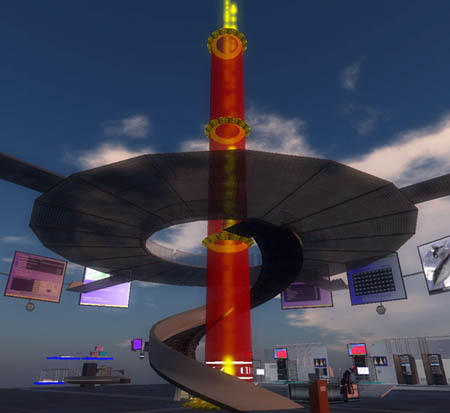 3-D Data Center was conceived by Osias and colleagues as an experiment last year when IBM was pursuing a big initiative around virtual worlds. 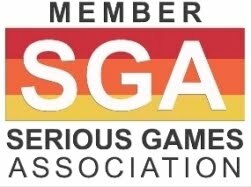 Osias decided to build a system of Web-based tools that could aggregate geographically dispersed data centre resources into one virtual setting. IBM built a few basic models, one suited to the banking world, another for the automotive industry, and a third that looks like something out of Star Trek, according to Osias. To make it secure, the virtual world for each customer is hosted on an Intranet rather than the World Wide Web. The virtual world will be deployed in each customer's intranet through an IBM service engagement. IBM officials would not say how much these service engagements cost or how much money Big Blue poured into the project. There is only one customer fully up and running so far, as the project is just now moving from prototype to beta offering and is being revealed publicly Thursday. The customer is Implenia, a Swiss construction, building services and real estate company that uses 3-D Data Center to manage eight sites. "The key element in the work for Implenia is IBM's virtual world integration middleware, Holographic Enterprise Interface (HEI), that links real-world data center operations in cyberspace to their Building automation interface," IBM states in a press release. "HEI has a modular and flexible design that allows clients to customize the desired interactions between real and virtual worlds. Each physical data centre linked through this technology has an HEI instance that will transmit messages over the private network using Internet standard protocols to the 3-D virtual world server." 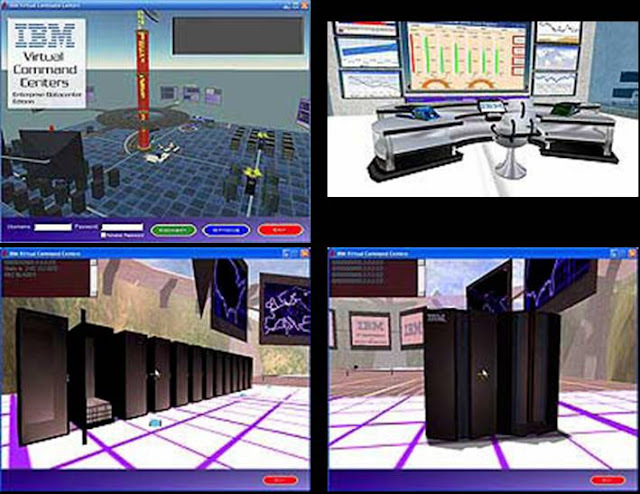 IBM's software that renders the 3-D environment is based on OpenSimulator, an open source virtual world creator. The virtual data center used by Implenia and potentially other customers allows for multiple users, enabling collaboration related to a customer's data center. Osias says 3-D Data Center should be generally available later this year, and that IBM will try to add features such as management of disaster recovery. Via UgoTrade: Illuminous Beltran at his Virtual Network Operation Center in SL. 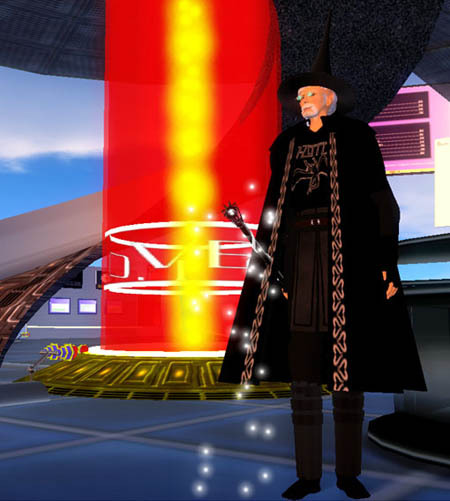 Michael Osias, IBM (a.k.a Illuminous Beltran in Second Life) has been working hard to make virtual worlds useful places. The 3D datacenter brings together data from customers systems and renders the many dimensions of the datacenter in ways that are not possible with 2-dimensional business applications. The integrated and consolidated view of the datacenter provides enhanced situational awareness of multiple facets of the center, leading to improved operational efficiencies and new insights into the business. The 3D datacenter is customizable and versatile, both in the data it receives and the layout and function of the datacenter. Thiscustomization is useful when managing live systems, but especially if the tool is used to perform simulations or planning such as space, thermal, power, or other planning needs. Or if the business is oriented toward marketing and branding, customers can include their own brand images, products, and equipment in the center for sales and marketing purposes. The 3D datacenter also extends the business value of previous investments, by leveraging and extending existing systems management and monitoring infrastructure.